Studio David Thulstrup has turned a former factory building in Copenhagen into a house for a photographer, featuring a plant-filled atrium and walls of brick, wood and steel (+ slideshow). 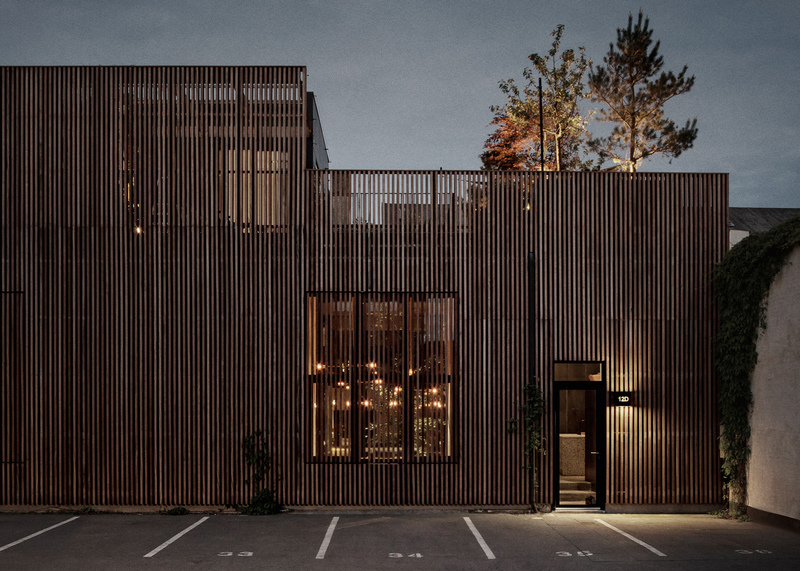 Located in the city's Islands Brygge harbour district, the old building was renovated by the local firm to create a home for Danish photographer Peter Krasilnikoff. It is now named Peter's House and sits next door to the photographer's studio. 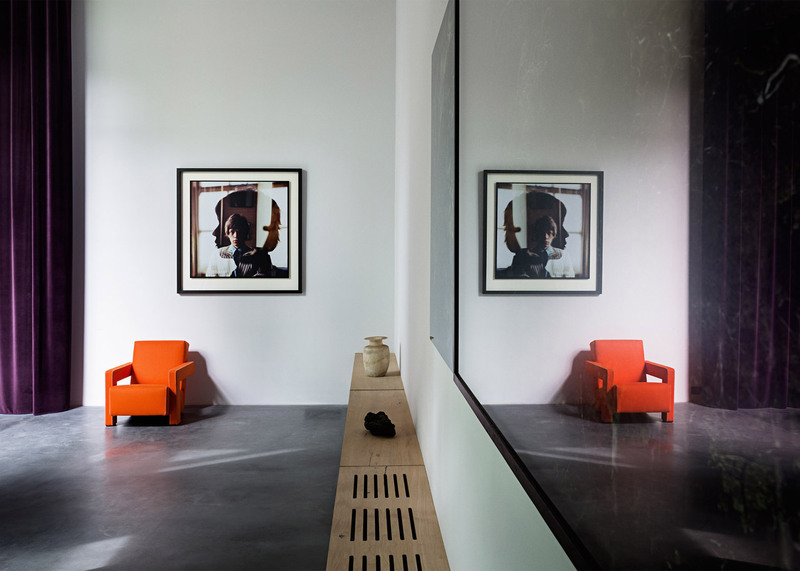 Studio David Thulstrup wanted to conserve three of the original brick boundary walls during the renovation. As the walls had few windows, the architects placed a glazed atrium at the centre of the house to provide the three-storey building with plenty of light. "Retaining the brick walls, which sit to the boundary of the narrow site, revealed the challenge of permitting light into the new building structure," said studio founder David Thulstrup. "The task was solved by a simple gesture with a slight twist," he continued. 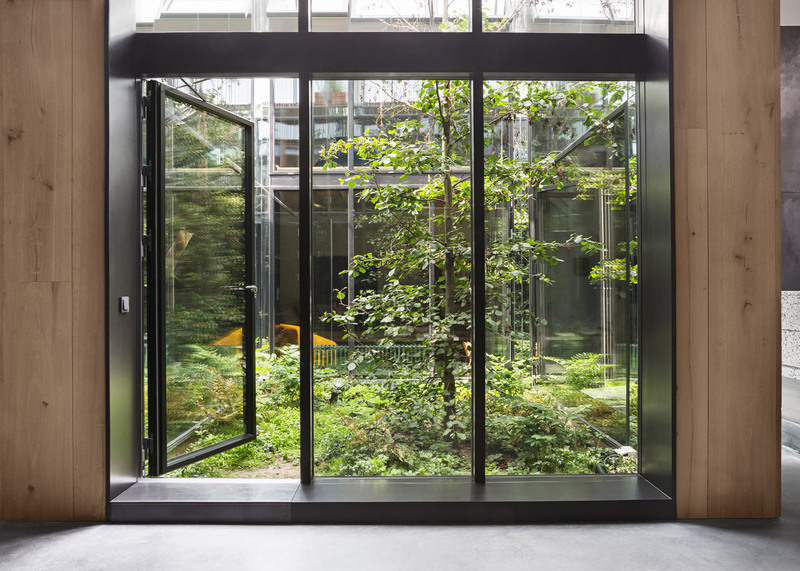 A glass-walled atrium was dropped down through the centre of the building volume and floods all three floors of the residence with natural light." 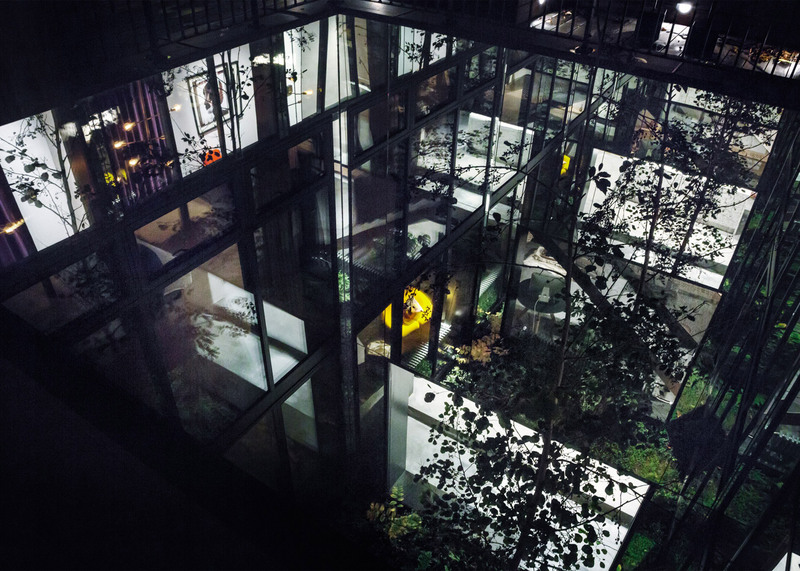 Krasilnikoff wanted to have a garden within the house, so the atrium features grasses, plants and a tree that is visible from all three floors. 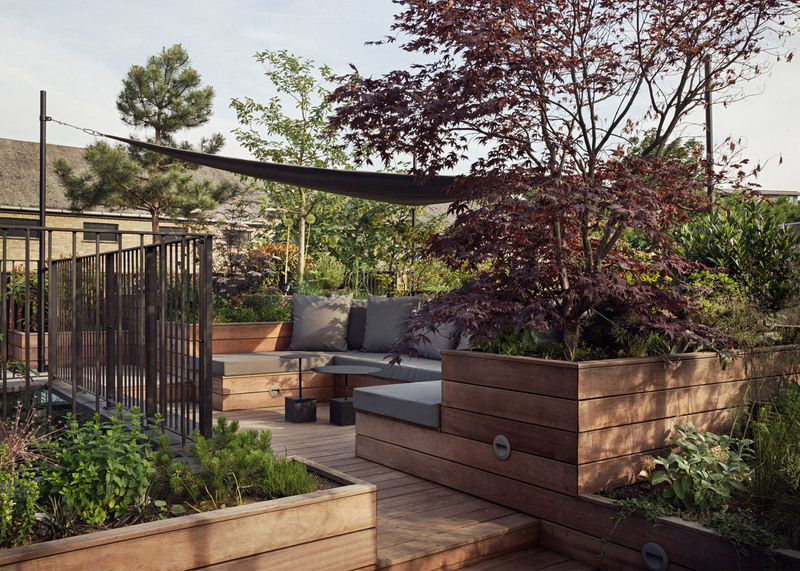 "Specially selected greenery has been planted in a manner of a natural Scandinavian woodland," Thulstrup told Dezeen. "The atrium is the central green heart of the house." On each floor, different amounts of mirror panelling are used to line the interior of the atrium to reflect the light and make the space appear larger than it is. 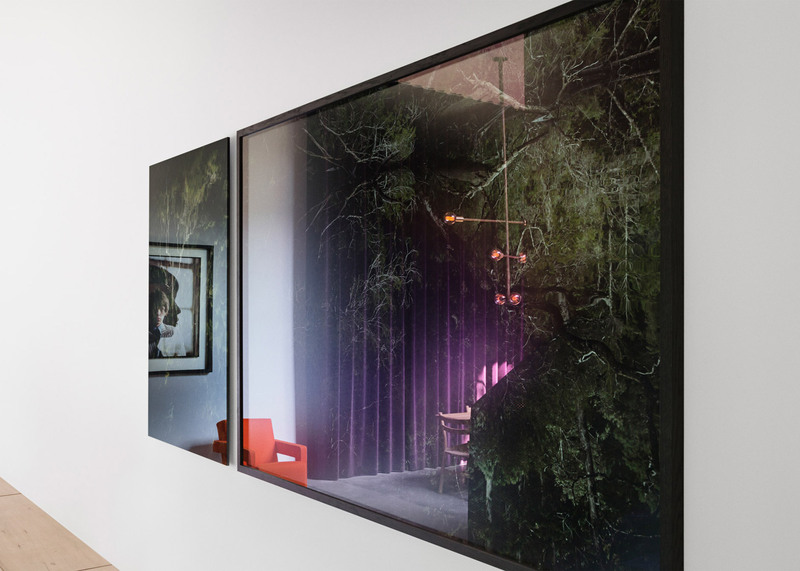 "The atrium contains expanses of dark mirror panelling, creating the appearance of a far larger internal space and enhanced lighting effect," Thulstrup explained. 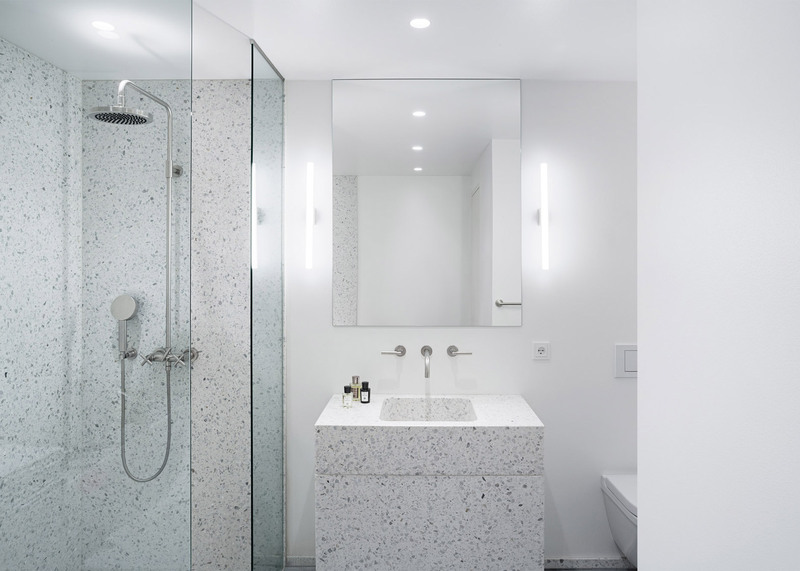 "The mirror paneling is detailed and applied in such a way that it achieves an appearance of continuity and is extremely effective at drawing light and an appearance of space into the lower levels of the building, despite the compact footprint of the atrium." On the uppermost storey, the interior is entirely lined with mirrors to reflect the light downwards to the ground floor, while two of the sides of the first floor are covered in the panelling. On the ground floor, mirror was only used to conceal the structural columns. Glazing dominates to offer the the kitchen, dining and living room, which are arranged around the atrium for plenty of light. Materials on the ground floor were chosen to complement the restored brick walls. 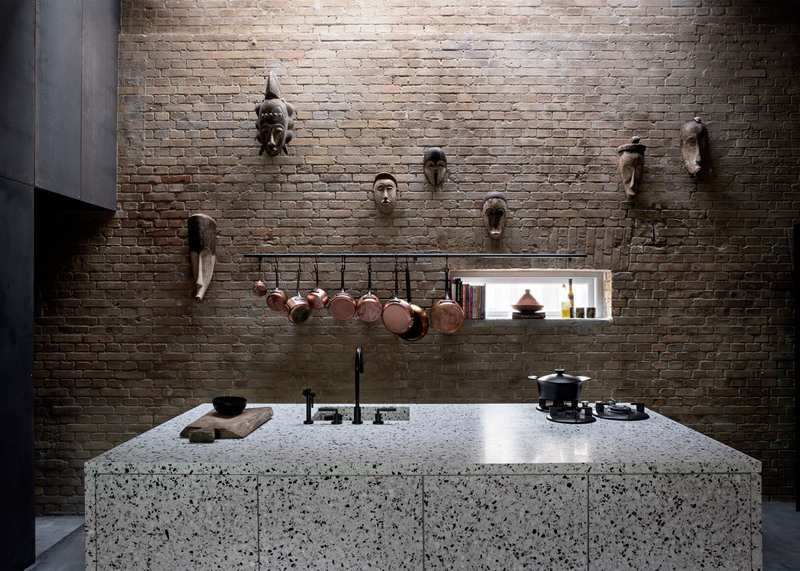 Blackened steel panels cover the walls of the kitchen, which features a bespoke terrazzo island. 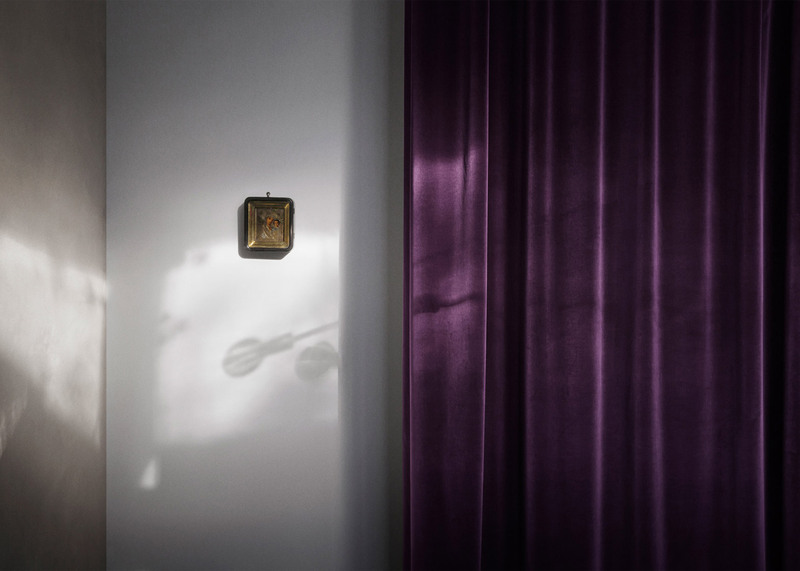 In the dining room, floor-to-ceiling curtains are made from dark navy and aubergine velvet, manufactured by Danish brand Kvadrat. These contrast with the raw finish of a poured floor. A central staircase of perforated, blackened steel wraps the atrium, which has an exterior of Dinesen oak panels. There are more wooden details on the mezzanine level above, which features light oak flooring and walls, and pale grey curtains. 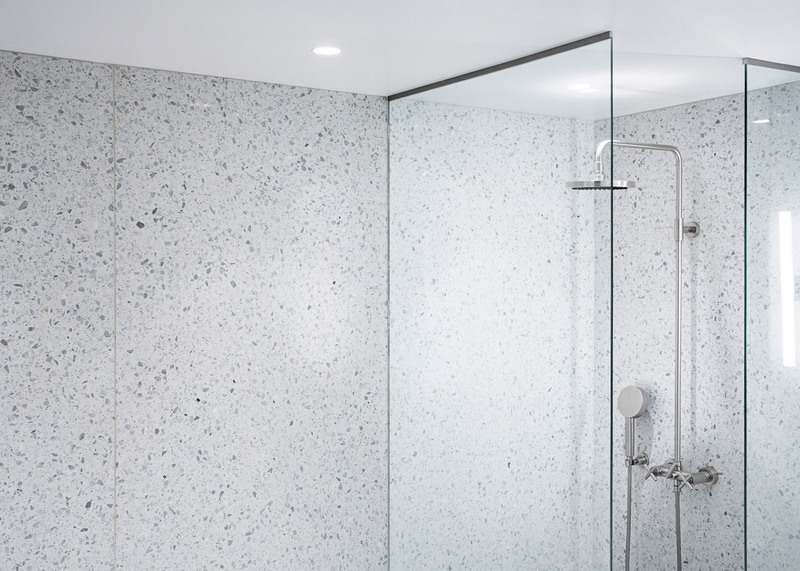 This floor accommodates the master bedroom, with a terrazzo-lined en-suite bathroom, storage and a wardrobe. 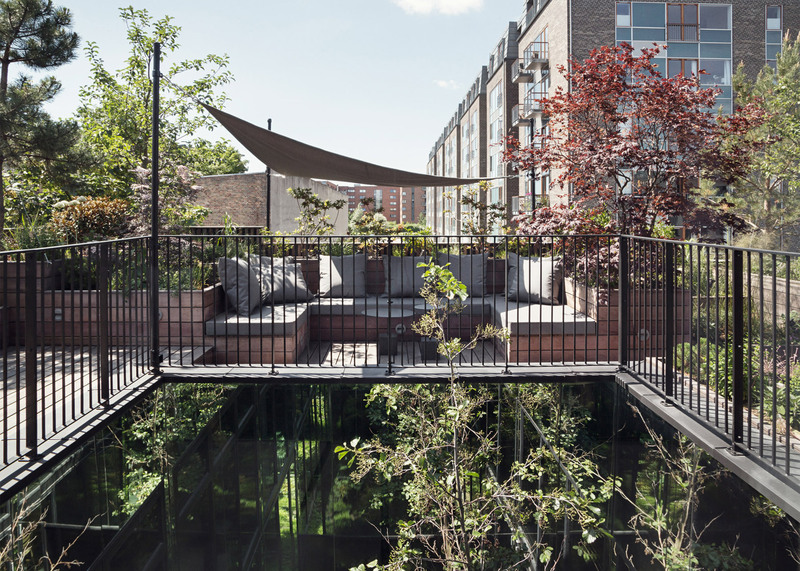 On the second floor, a glass office room leads to a heavily planted rooftop garden featuring wooden flooring and covered seating. From here, it is possible to view the exterior of the building, which is clad in vertical strips of Brazilian hardwood that will weather to a pale silvery grey over time. 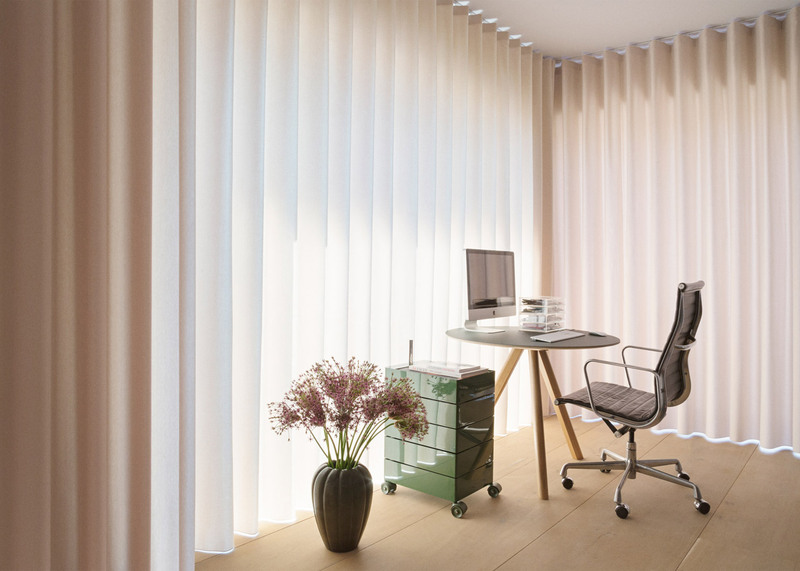 Studio David Thulstrup was founded in 2009 by David Thulstrup after he worked in Paris with French architect Jean Nouvel. 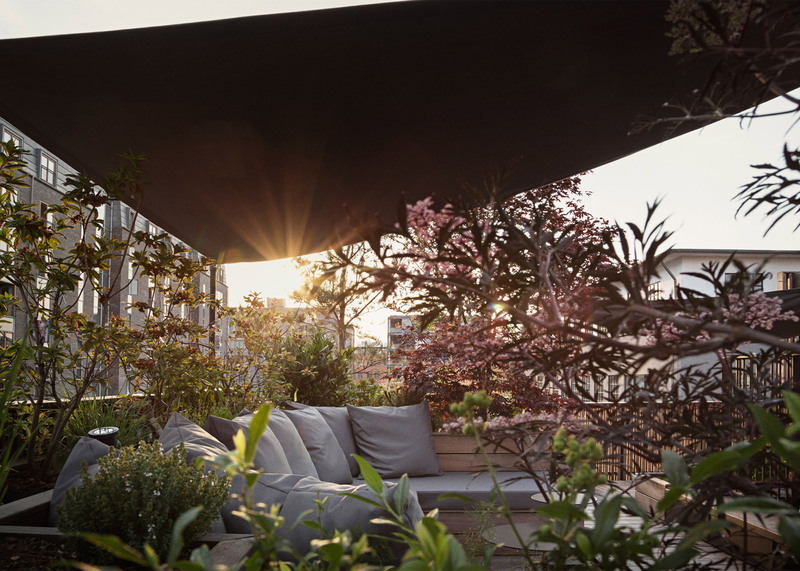 The firm has previously completed an apartment in Copenhagen for a Danish couple based in South America and the flagship store in Munich for Danish brand Georg Jensen. 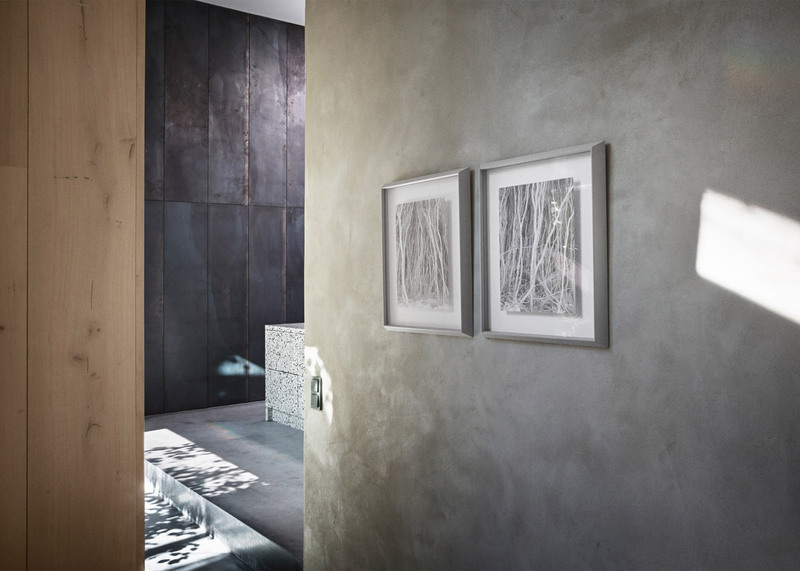 Peter's House follows a string of recent projects turning disused buildings into homes. 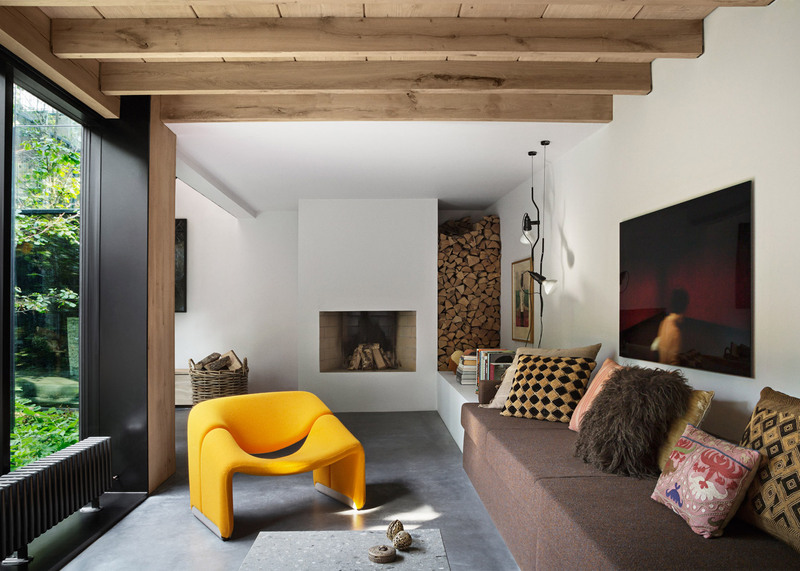 Other examples include a warehouse that was turned into a live-work space for a photographer and the transformation a former workshop building into a loft-like home. Photography is by Peter Krasilnikoff.